When you think about one of the most addicting foods on earth… what comes in to your mind? I’d say pizza, gelato… and for sure Nutella!! But, hey, like always, there is a way to recreate our beloved unhealthy foods in a healthy, balanced way! In this quick video I show you how easy it is (it literally takes 3 minutes) to whip up a delicious home made Nutella cream! This recipe only needs two simple ingredients and it can be enjoyed with fruit, gluten free bread, home made cookies or even to fill a pie crust! The healthy food options are endless, and with this recipe you can finally enjoy a gluten, dairy and sugar free Nutella! …And if you are looking for more healthy gluten free recipes, check my EBook “How To Indulge While Eating Clean” that collects all of my most delicious recipes, all gluten, sugar and dairy free! Combine all ingredients in a bowl and mix well until you have a creamy and velvety home made Nutella. 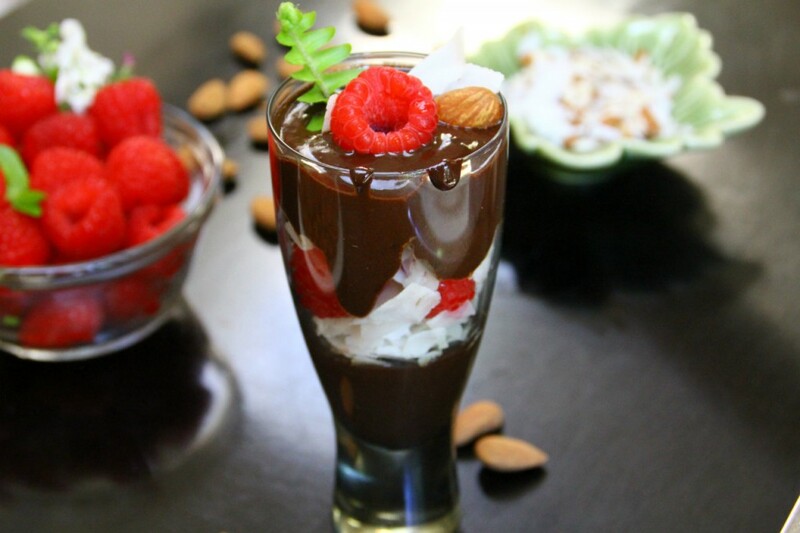 Enjoy your home made Nutella by spreading it over cookies or sliced gluten free bread or layer it in a parfait cup (adding fresh fruit and dairy free coconut yogurt like you see in these pictures). What are your tricks on how to eat healthy desserts? Do you have any other favorite healthy dessert next to Home Made Nutella? Share all the details in the comments below and of course, i would love to see your pictures on social media. I will see you next week with more healthy tips!! Hope you enjoy your healthy Nutella and I send you a big kiss! P.S. Click below to check out my new ebook!